The National Thoroughbred Racing Association (NTRA) announced today that Suffolk Downs has earned reaccreditation from the NTRA Safety & Integrity Alliance. The reaccreditation followed a complete review of all racing operations at the facility. Suffolk Downs has continuously maintained accredited status since receiving its initial Alliance accreditation in 2011. Saturday and Sunday, the East Boston, Mass., racetrack hosts its second of three weekends of live racing this year. First post is 12:35 p.m. ET each day. Saturday’s card includes two stakes events and five turf races. Takeout has been reduced to 15 percent on all wagers for the entire season. The Safety & Integrity Alliance inspection team was comprised of Jim Gates, racetrack operations consultant, former general manager of Churchill Downs; Ron Jensen, DVM, veterinary and regulatory consultant, former equine medical director for the California Horse Racing Board; Mike Kilpack, security and integrity consultant, past chairman of the Organization of Racetrack Investigators; and Steve Koch, executive director of the Alliance. “We have and will continue to work to provide as safe an environment as possible for our human and equine competitors and we appreciate the leadership, resources and guidance that the NTRA offers in the areas of safety, testing and integrity,” said Suffolk Downs Chief Operating Officer Chip Tuttle. The reaccreditation of Suffolk Downs comes in the midst of trying times for Thoroughbred racetracks in New England. Adding casino gaming to the property could have fueled a major revival but that bid was denied in 2014. 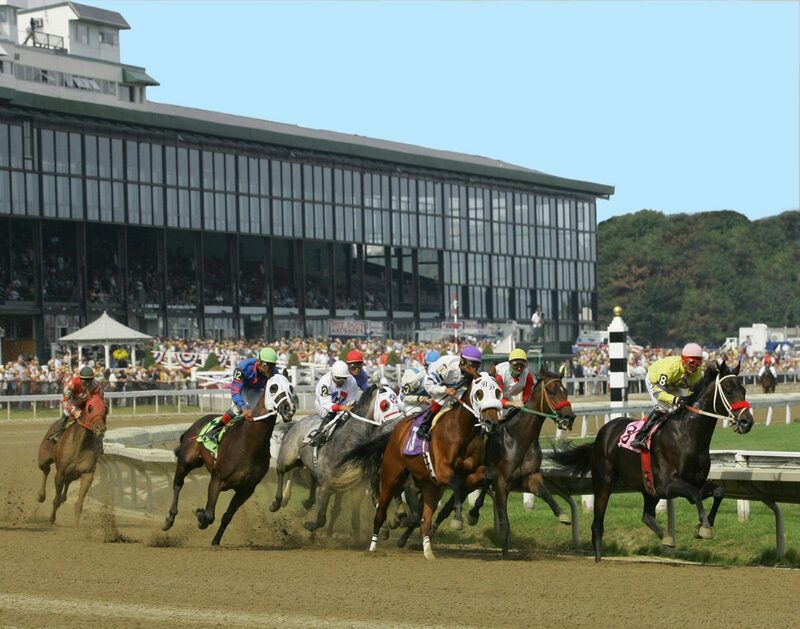 Existing casinos provide limited purse money via the Massachusetts Race Horse Development Fund, which allows for the abbreviated meets that keep racing alive while future plans are being formulated. Suffolk Downs is one of 23 racing facilities fully accredited by the Alliance that together host 94 percent of Grade 1 stakes and attract more than 70 percent of North American pari-mutuel handle. The others are Aqueduct Racetrack, Belmont Park, Canterbury Park, Churchill Downs, Del Mar Thoroughbred Club, Fair Grounds Race Course & Slots, Finger Lakes Gaming & Racetrack, Golden Gate Fields, Gulfstream Park, Gulfstream Park West, Indiana Grand, Keeneland, Kentucky Downs, Laurel Park, Los Alamitos Race Course, Monmouth Park, Pimlico Race Course, Santa Anita Park, Saratoga Race Course, Sunland Park, Turfway Park and Woodbine.